Cheting Marshes wader lagoon, with Great Egrets visible on the left. A brief Sunday morning visit to these wetland sites, which are both easily accessible from Highway 17, north of Kaohsiung. It was a hot, clear day. The main lagoon at Cheting was fairly quiet, with just 15 Avocets, a lingering Greater Sandplover (probably one of the two birds that have been present for several weeks), and a nice flock of 21 Pacific Golden Plovers that dropped in shortly after I arrived. Some of them were already in full summer plumage. The “photographers lagoon” had 4 Red-necked Stints, which flew off high to the south, and plenty of common waders (Black-winged Stilt, Common Greenshank and Marsh Sandpiper) distantly visible through the heat haze. Next, I explored some minor roads at the back (north) of the Cheting site. The dried-out marshland produced a single Richard’s Pipit, and plenty of common birds in the grassland and around the scruffy fishponds. 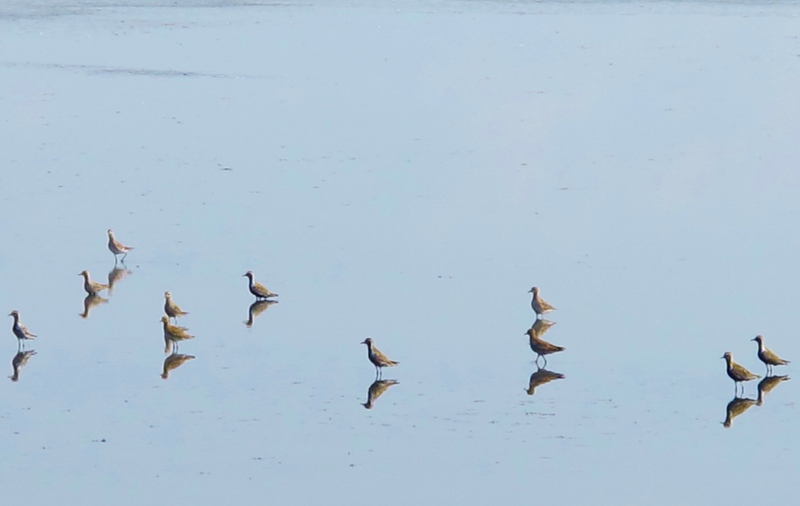 Pacific Golden Plovers, Cheting Marshes, April 13th. 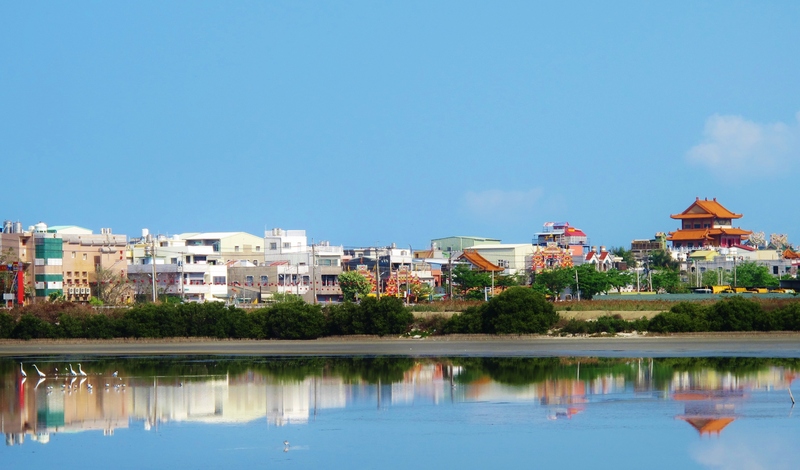 Finally, I squeezed in a 20-minute trip to Yuanfugang Wetlands Park on my way back to Kaohsiung. A quick glance at the main ponds produced some of the specialities of the area: 3 Sacred Ibis, 6 Pheasant-tailed Jacana (mostly in their splendid summer plumage), 3 Garganey, a Eurasian Coot (uncommon in Taiwan), plus single Yellow Bittern and Wood Sandpiper. 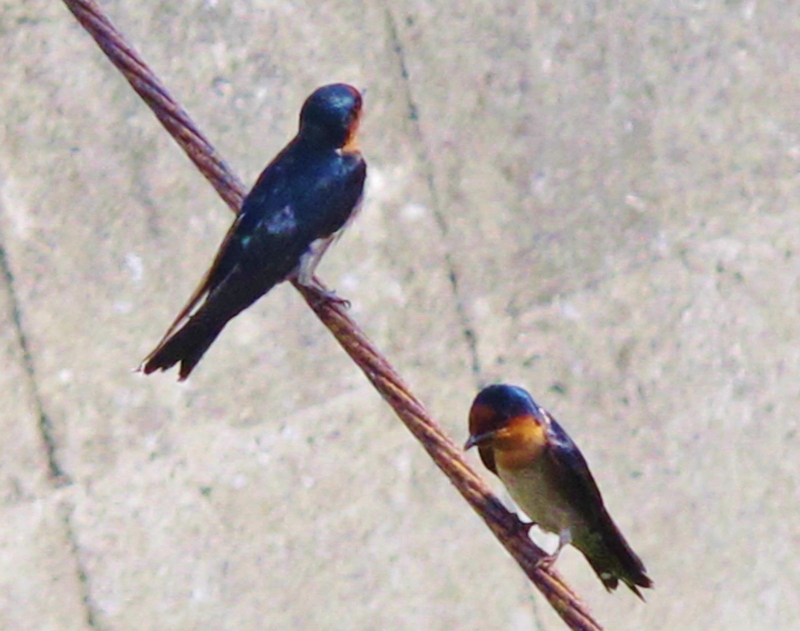 Pacific Swallows, Cheting Marshes, April 13th.